I always stress that in order to understand any martial art or fighting system you must be familiar with its culture. 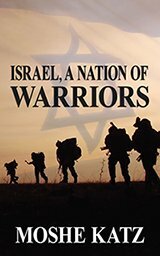 That is why I wrote a book called, "Israel, a Nation of Warriors" as the written manual to accompany our training. It seems that most martial artists are incapable of really judging what is effective and real and what is not. After many years in this field that is the sad conclusion I have reached; most instructors really have no clue as to what real life is like, they have no sense of real danger is. This is sad indeed. I find it tragic that fancy jujitsu moves or even the sport of Judo are presented as real self defense. The UFC, MMA, wrestling, what-have-you, are sports, period. They are sports. Why can't people see this? It is time for the Olympics. The only reason I know this is because in Israel it is all over the newspapers and impossible to miss. But it is not in the news because of the Olympics per say, no, that is hardly news worthy. It is in the news because this year marks forty years. Forty; the number often used in the Bible, the Torah. Moshe went up to Mount Sinai for 40 days, the children of Israel walked through the desert for 40 years, "and the land rested for 40 years." The number 40 has significance for us. And this year is 40. This year marks forty years since the Munich Olympics, or as it is known here in Israel, "The Munich Massacre", where Arab terrorists entered the Olympic village and took the Israeli athletes hostage. The German police's top units, to their everlasting shame, could do nothing. After a fierce struggle eleven of our athletes were murdered. They came home to us in coffins. Ironically the Arabs use the term the "Holy Eleven" to refer to the eleven suicide attackers who brought America to its knees on 9/11. That day in 1972 was one of those days that marked my childhood and shaped who I am today. It was not that long after the Holocaust, not long after the entire Arab world tried to eliminate us (the 1967 Six Day War), not long after…so many attacks. I am not alone, it shaped a generation. Our athletes went to play sports and ended up fighting for their lives. They heroically fought the Arab terrorists. On the front page of the Jerusalem Post I saw the following headline…"Shahar Ayalon: 1972 Olympics massacre changed my life forever". Who is Shahar Ayalon, and who was Shahar Ayalon? He was an athlete and he became a fighter. He was a sportsman and he became a survival expert. Note: these are two totally different fields. It took the 72 Munich Massacre for him to make this important distinction. He was a young athlete of 16, a promising runner, who was invited along with the Israeli delegation to experience the thrill of the Olympics. What he experienced changed his life. "Ayalon excelled in the 400-meter dash and the 1,500-meter middle-distance event, but after Munich he left the sporting world. He joined the Israel Police's elite counter-terrorism unit in 1977". "Since then I've been in counter-terrorism and police work for 35 years." Sports and self-defense are not the same thing and yet the American army and police hire martial athletes to train their men. Countless men, women and children sign up to learn self-defense but instead learn sports. What will it take for people to know the difference? Gun to the head as you enter your car, Do you know how to handle this situation? Understand Krav Maga. Understand Israel. Understand the true nature of violence.